Hound’s-tooth check has been reigning in the fashion industry for many decades now. ERIE skirt featuring this characteristic black-and-white pattern is an elegant piece which wears comfortably. The high-quality viscose blend shapes well on the silhouette flattering the feminine curves. 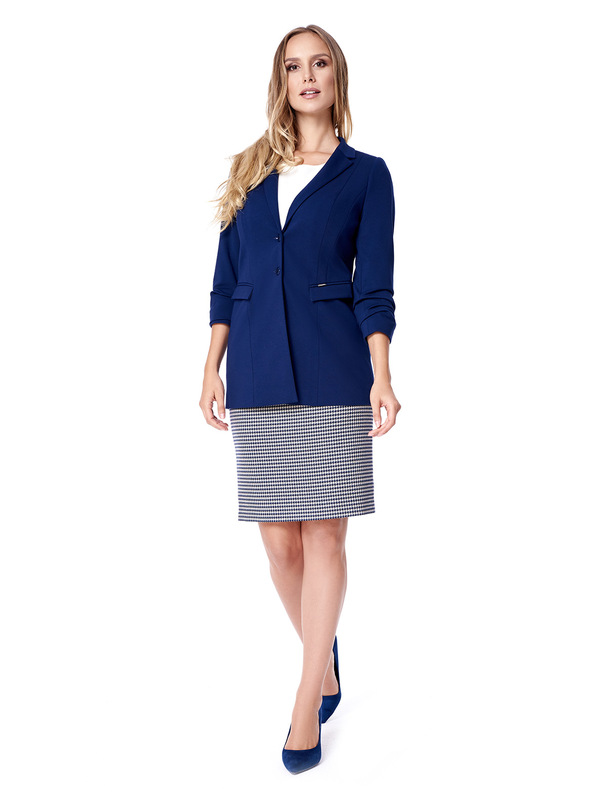 A perfect pick to combine with a box jacket and create a lovely office outfit.